“Work to remove the 300-ton piece of equipment that failed to stop the massive oil spill in the Gulf of Mexico could be delayed into the weekend or longer because of rough seas, the federal government’s point man on the spill response said Tuesday. Engineers hoped to begin the operation Monday but were stopped by the rough waters, retired Coast Guard Adm. Thad Allen said. Seas were 6-feet or higher Tuesday, but Allen believes they would have to be closer to 4 feet for the work to be done safely. 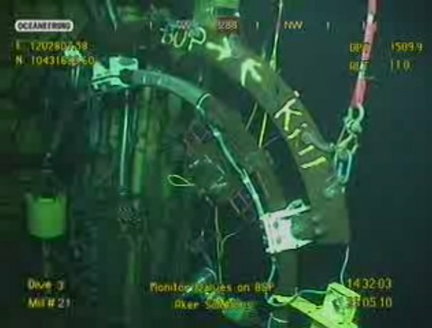 The process involves removing the cap that stopped oil from gushing from the site of the spill in mid-July, then removing the failed blowout preventer and replacing it with a new one. That would clear the way for completion of a relief well and the final, permanent plugging of the well with mud and cement from the bottom. Officials don’t believe more oil will leak when the cap and blowout preventer are removed, but they are preparing just in case. This recent news on the Gulf of Mexico oil spill has me wondering whether or not this new cap is the greatest idea. I just hope that this technology does work and the blowout preventer ends up successful so that the spil site can be closed off. It seems to me that the author has a similar viewpoint- he seems to believe that the environment is quite important and it is necessary that as little goes wrong as possible. His viewpoint is professional but it is difficult not to be critical of government actions and caring for the environment, which the author gives the impression of in the full article. I believe his thought of criticism of the actions of BP and the government is deserved and that the environment should be of importance those who inhabit it. 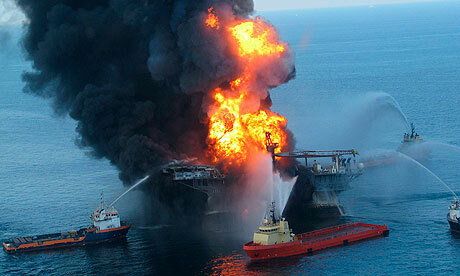 Let’s just cross our fingers that the blowout preventer works so that we can seal off the spill site.